Steph Curry was one of the first athletes to speak about Nipsey Hussle’s death and just how much it affected him. Hussle was killed on March 31st in front of his store, and the hip-hop and sports community have been in mourning ever since. Curry’s contemporaries like Kevin Durant, LeBron James, and Russell Westbrook have all paid tribute to Nip so it’s no surprise Curry would too. “I got to know him last year and had a great conversation about who he was as a person, what he stood for, what his message was, how he tried to inspire people considering where he grew up and how he turned that into something extremely powerful, represented an entire city,” Curry said after the news broke. 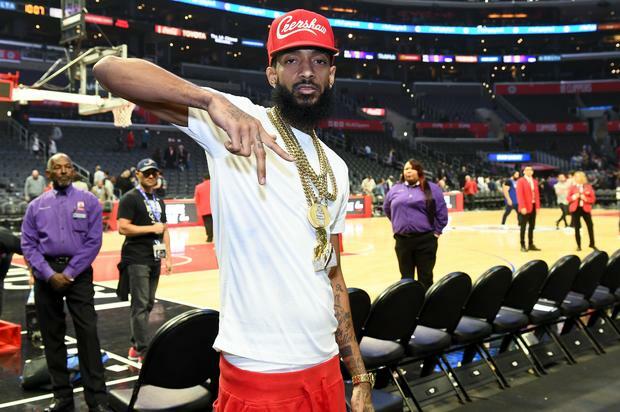 It’s an inspiring conversation in which Nipsey talks about how his father instilled confidence in him and taught him why you should be a leader. He explained that he had hoped to instill that same mentality into his own kids. It’s a truly eye-opening conversation and can be watched above. Every day the world just keeps getting a little bit more knowledge from Nipsey.